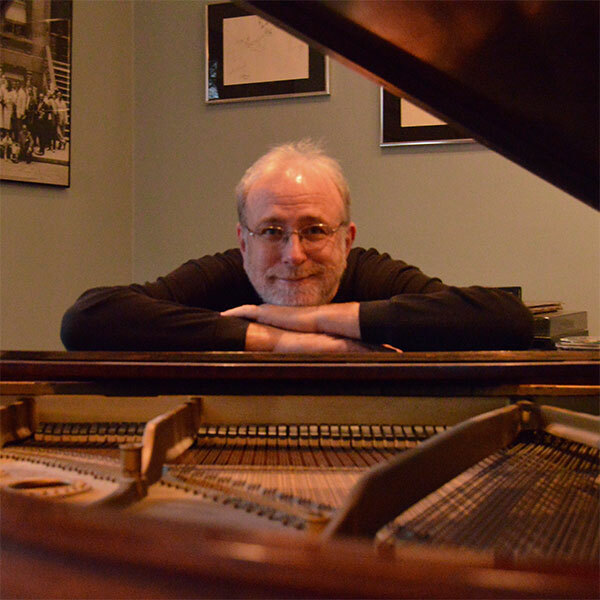 For years the go-to pianist and arranger for such artists as Mongo Santamaria, Dave Valentin, Gato Barbieri, the Fort Apache Band and others, Bill O’Connell has perhaps more than any other pianist developed a true melding of Latin and Jazz music. His own playing – from its robust chordal comping to its exuberant and sometimes knotty solos – transcends categorization and combines rhythmic complexities with glittering single note runs in a sort of Bud Powell-meets-Chick-Corea sound. With Latin-tinged trombone great Conrad Herwig, O’Connell provides a thoughtful program of originals and a few re-imagined standards including an amazing rendition of Victor Feldman’s “Joshua” and a surprising “Surrey with the Fringe on Top.” Saxophonist Steve Slagle, percussion legend Richie Flores and his regular rhythm section make Bill O’Connell’s Zócalo (Savant) a joyous romp filled with energy and high spirits from a powerful voice in Latin Jazz. 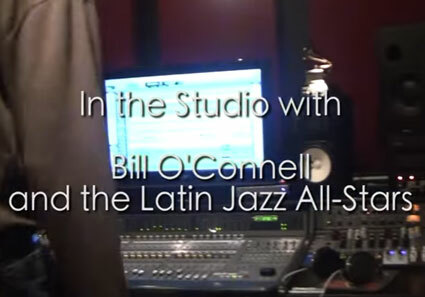 Bill O’Connell studied classical music at The Oberlin Conservatory of Music. 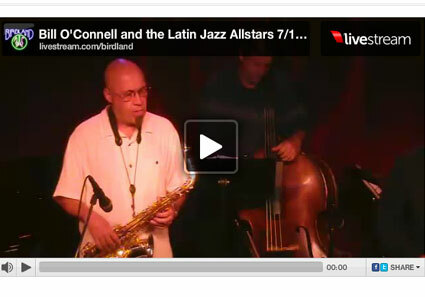 Early in his career he played in various salsa and jazz settings, making him a pioneer of Latin Jazz.. O’Connell is an internationally recognized composer, and has original compositions on CDs by Mongo Santamaria, Emily Remler, Charles Fambrough, and on virtually every recording made by flutist Dave Valentin. Saxophonist and composer Steve Slagle has released twelve CDs as a leader and performed on countless others. His many original compositions and his arrangements for Mingus Big Band are published internationally. He has played with Stevie Wonder, Machito’s Afro-Cuban Orchestra, Steve Kuhn, Lionel Hampton, Jack McDuff, Charlie Haden’s Liberation Music Orchestra, Brazil’s Milton Nascimento and band, Carla Bley Orchestra, Ray Barretto, and Joe Lovano to name a few. Luques Curtis (bass) has been performing nationally and internationally with artists such as Eddie Palmieri, Brian Lynch, Ralph Peterson, Christian Scott, Sean Jones, Gary Burton, Stefon Harris, Donald Harrison, Etienne Charles, Albert Rivera, Elio Villafranca, Francisco Mela, and others. He has recently released an album with his brother called “Blood, Spirit, Land, Water, Freedom” on Truth Revolution Records. Luques was also part of Brian Lynch’s Grammy winning CD “Simpatico”. Drummer Adam Cruz has been a vital creative force on the international jazz scene for the last two decades. He leads his own group, is an integral part of renowned pianist Danilo Perez’s trio, and regularly works with artists such as Tom Harrell, The Mingus Big Band, Joey Calderazzo, Chris Potter, Steve Wilson and Edward Simon. As a drummer, Adam represents a unique place in the American jazz lineage. The wealth of his rhythmic knowledge, his deep sense of jazz swing and his knowledge of Latin American rhythms, all coalesce into his personal sound, giving his playing a powerful depth and a rare and distinctive musicality. such as Tito Puente, Eddie Palmieri, Cachao, The Fania Allstars, David Sanchez and many others. Latin jazz piano dynamo Bill O’Connell found a parallel between this gathering and Zócalo, the main plaza situated in the center of Mexico City; that square has long been a place where people meet to connect, celebrate and join together as one, and the same sense of togetherness and unity associated with that spot surrounds this recording. O’Connell and his simpatico sextet mates sizzle, swoon and soar as they explore the art of creation through communication. 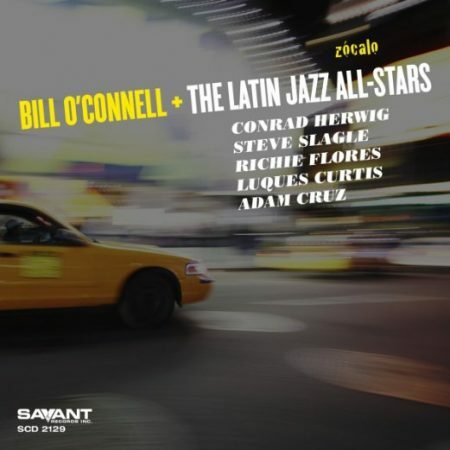 Pianist Bill O’Connell leads a seasoned sextet through a set of original compositions spiced with fresh re-workings of several standards in his latest release,Zocalo. 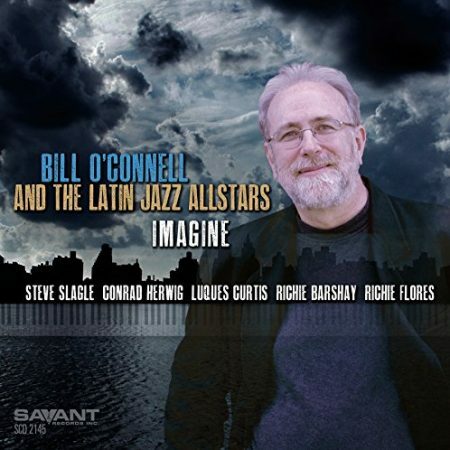 This is not the kind of full bore Latin jazz album listeners might expect from a group called Latin Jazz All-Stars. The Latin rhythms are there, but as often as not they are somewhat subdued. As O’Connell is quoted in the liner notes, “The Latin may not always hit you over the head, but it is there.” This kind of subtlety gives many of the tunes a unique vibe. Bill O’Connell’s been around the block many times, has gotten to know its denizens quite well, and of course is very well known by them. That’s how he came to play with and arrange for cats like Mongo Santamaria, Dave Valentin, Gato Barbieri, and the Fort Apache Band among many others. In The Latin Jazz All-Stars, he pulled in Steve Slagle (sax) and Conrad Herwig (trombone) as very tasty soloists and as a great grooving duet beside the percussive pairing of Adam Cruz (drums) and Richie Flores (percussion), the energetic Luques Curtis rearing up on bass. The result is a very satisfying collision of trad NorthAm and trad SouthAm jazz styles. When all’s said and done, you might be a little dizzied by the labyrinthine articulations, shifting voices, and myriad constructions, and at a loss for an adjective to capture it all, so let me suggest one: consummate. 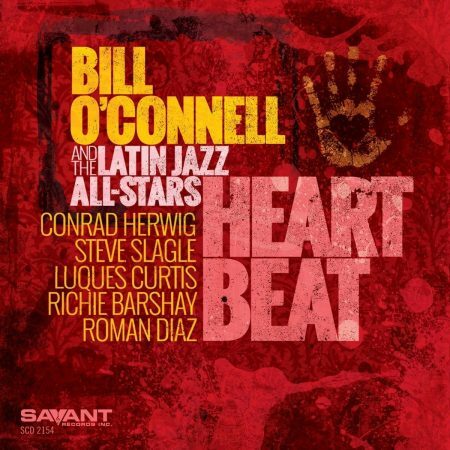 Bill O'Connell and the Latin Jazz All-Stars - "Heart Beat"
Bill O'Connell and the Latin Jazz Allstars "Live from Birdland NYC"